It can sometimes cause sensitivity to sunlight. Native to India and the southern US, it also grows in tropical and subtropical parts of Australia, South Africa, Asia, Sri Lanka, parts of China, the western South Sea Islands, Madagascar, Mexico, Venezuela, Colombia, and eastern South America. The plant is a perennial creeper, growing to twenty inches with fan-shaped leaves and preferring marshy areas and riverbanks. It has clusters of red flowers and bears fruit, but it is the leaves that are the valued parts used as medicines. They are usually gathered in the wild, but the plant can be cultivated. It is an ancient remedy that has been used for thousands of years in India and is now becoming popular in the West. Gotu Kola has long been associated with longevity, perhaps because it was the favorite food of elephants who can live for over 100 years. Since the late 1800s, it has been used in France and other European countries to promote healing of burns and other skin wounds. Interest in it is relatively new in the US, and its healing properties are still being discovered. In Sri Lanka and other tropical areas, gotu kola has a long tradition in the healing of leprosy. Studies attribute its apparent effectiveness to asiatiocoside, which destroys the protective cell walls of the bacterium that causes the disease and thus promoting wound healing. Another of the key alkaloids is madecasosside, an important wound healer used for its anti-inflammatory effects. Gotu kola contains substances that are used to build brain chemicals (neurotransmitters) instrumental in memory and learning, and may hold promise in slowing the progression of Alzheimer’s disease. They may also improve learning in some children with developmental disorders. A standardized extract called TECA has been shown to speed the healing of burns, skin ulcers, skin grafts, and surgical incisions. It not only promoted healing but also reduced the formation of scar tissue. In another small study involving patients with severe psoriasis, five of the seven participants had their skin lesions disappear within seven weeks. Many other studies have demonstrated its effectiveness in learning disabilities, reducing pain and swelling, and killing of cancer cells in a lab culture. The herb can be taken internally for these conditions or used in compresses for external conditions. The only side effect is that it can cause drowsiness if taken in very large doses. Related to the carrot, gotu kola supports the integrity of collagen and skin. 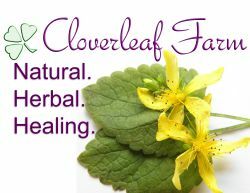 It can help heal minor wounds and skin irritations, help ensure blood vessel integrity, and promote circulation throughout the body, including to the brain. A long-standing tonic rejuvenator, it is said to help concentration and memory. 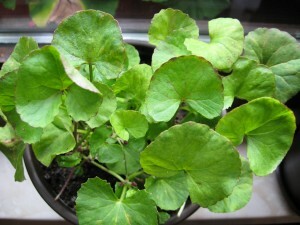 Gotu kola appears to be most useful in building healthy connective tissue, thereby reducing formation of scar tissue. It may also improve circulation, probably by strengthening the walls of veins and other blood vessels. It is commonly used to promote skin healing, including that of psoriasis, syphilis, and leprosy; to reduce the scarring of surgical incisions; to treat varicose veins and improve circulation; to rebuild connective tissue; and to improve memory while slowing the aging process. A paste made from the powder is used on patches of eczema. It is also taken for fertility, for poor indigestion, and for rheumatism. Fresh leaves are often given to children in India to treat dysentery, as well as for fevers, abdominal disorders, asthma, and bronchitis. An oil extract is said to promote hair growth. In Western herbalism, it is used mainly for skin problems and wounds; but increasingly it is being given for rheumatism, rheumatoid arthritis, and poor venous circulation.